Nestled amongst the bustling upmarket fashion boutique and cafés of the Lisburn Road you will find The White house. Our Teeth Whitening Belfast City clinic opened its doors in 2011 and we are located in an easy to access location on the Lisburn road BT9 next door to Tesco. 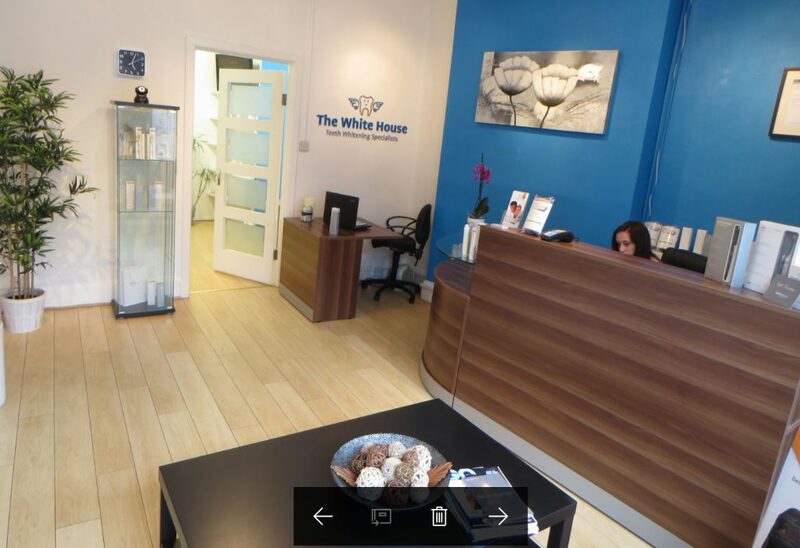 Feel free to drop into our Teeth Whitening Belfast clinic and say hello to our friendly staff and pick up a leaflet. Dr Hayley Purse and Dr Lina Hameed will be the Dentists looking after you in our Belfast teeth Whitening clinic who are both fully qualified and GDC registered dentists. The whitening process takes about 1 hour, and, depending on the client’s diet and whether or not they smoke, will last between 9 and 18 months. Treatment generally costs £215, although discounts are offered for online booking and for groups, including wedding packages. 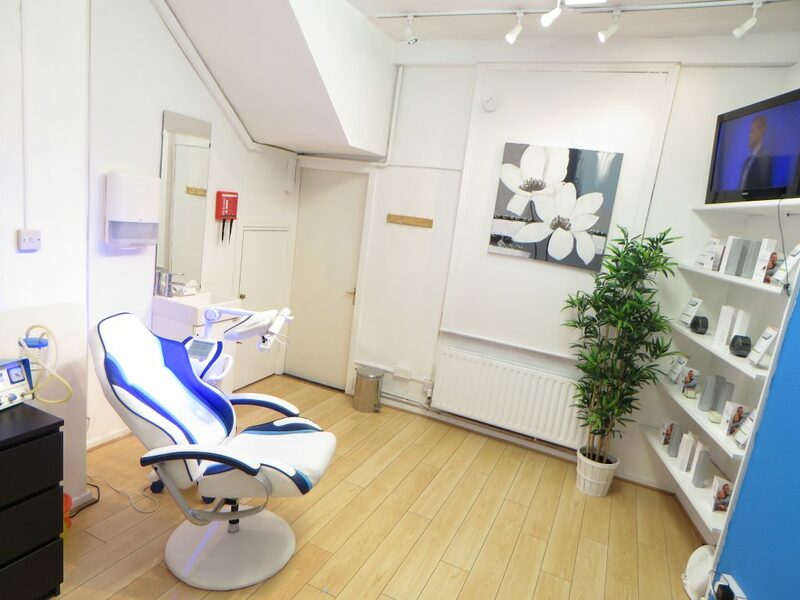 Having experienced the Californian teeth whitening treatment while in the U.S., The White House introduced the hi-tech whitening system to Ireland, initially, in the Dublin Clinic The White House uses the most advanced cold laser light technology available worldwide, the Beyond Power Advanced Whitening System. The quick treatment is ultra-safe and effective and is 100% guaranteed no pain due to no hydrogen peroxide being used in the whitening gels. The laser is cold and filters out any heat or UV rays. The whitening process takes about 1 hour, and, depending on the client’s diet and whether or not they smoke, will last between 9 and 18 months. Treatment generally costs £215, although discounts are offered for online booking and for groups, including wedding packages. 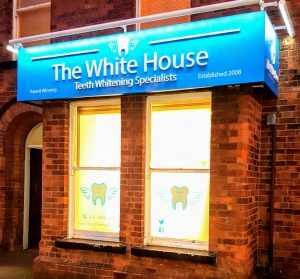 The White House Teeth Whitening Clinics in Belfast have been accredited with the “Top Whitening System” for the last 5 years in a row by the Dental Advisor and featured in the Irish Times, The Irish Independent, and the Sunday Business Post and Newstalk. We have also featured and showcased our product on TV3’s Ireland AM and on the RTE consumer show 2013. 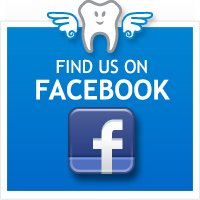 We have completed over 50,000 teeth whitening treatments since 2008 and have 23,000 people on our customer database nationwide and have a growing and active 8,000 Facebook followers. We have also had over1,000 independent reviews and 92% of these customers would highly recommend us to their friends.